Basketball’s favorite couple is back with some lovable Insta-moments, in celebration of their sixth year of marriage. 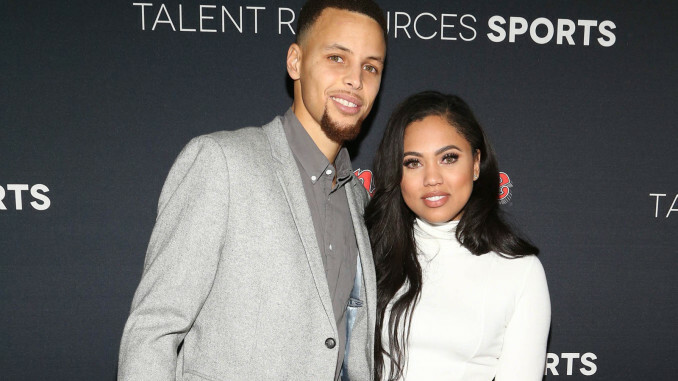 Steph and Ayesha Curry both posted on Instagram Sunday night to gush over each other, and nobody is mad about it. “My woman! My life! My everything!” he continued, prompting quite a supportive response from a number of followers. “I love how you love her!!! !” one person commented. We totally agree. Ayesha returned the romantic sentiment with an Instagram of her own. The couple recently returned from an anniversary trip to Asia (which they documented on social media). The Currys are social media pros, and are not afraid of showing a little romance and family time on their feeds — their adorable daughters, Riley, 5, and Ryan, 2, are also becoming social media stars. We totally love how public they are in their love for each other. Congratulations, you two! Here’s to many more years of happiness.